Sparrow launched in the app store exactly 1 year ago today. We’re all feeling very proud of ourselves at Sparrow HQ, reminiscing over the past year and thinking of the future. We thought sharing some highlights from the past year would be a good way to celebrate it. 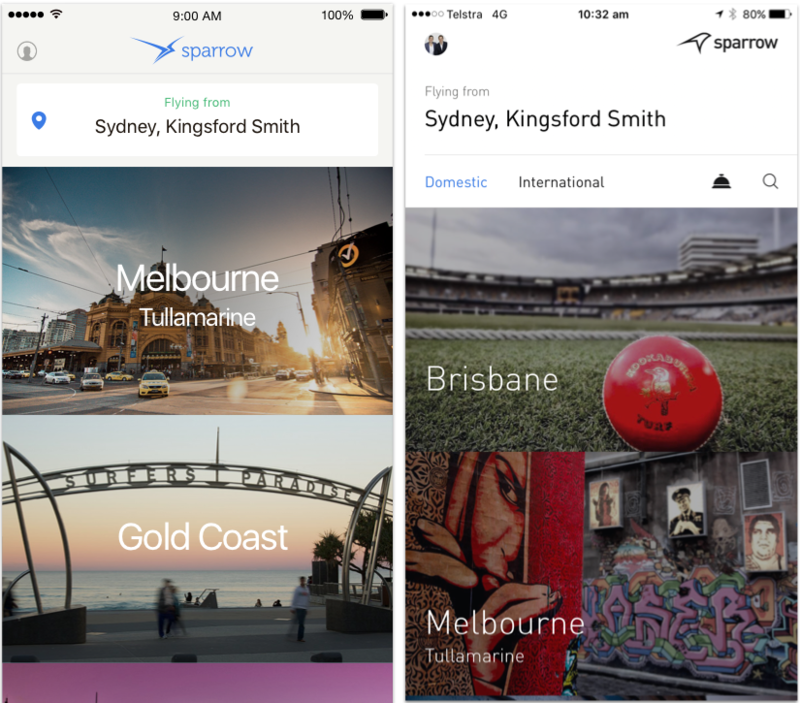 Sparrow launched on the app store on the 11th of July 2016 with Australia’s top 10 destinations and 2 carriers. For those who were there when it first began, below is the first design. It wasn’t long before it was updated, with the addition of flexi fares few days later. Featured on SBS’ Small Business Secrets! Maintained 5/5 stars on the app store – if you haven’t rated us yet, please click here. 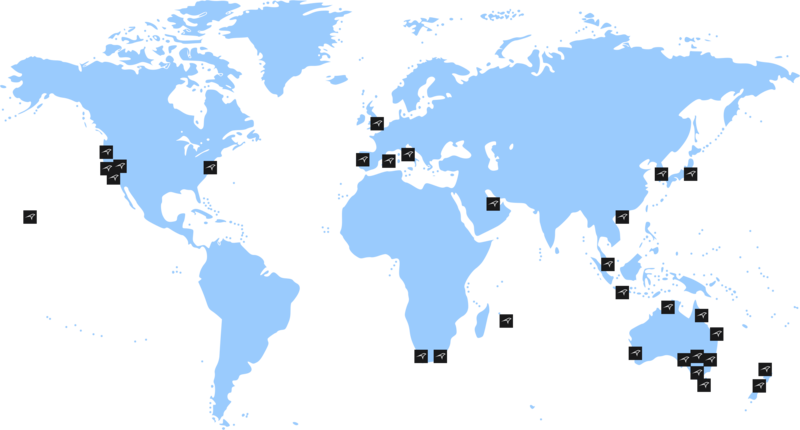 ​ ​Who wants to go to South America and Antarctica? Simple addition of passengers. We’ve reworked the whole flow. Live in a few days. Australia’s best business hotels soon to be available inside Sparrow. ANDROID!! 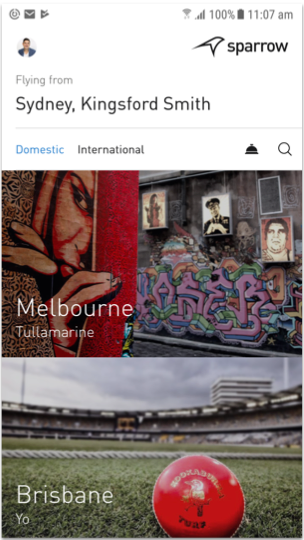 95% complete and in testing, here is the Android destinations screen. I wanted to also take this chance to thank everyone who has been on this ride with us. It’s been great fun, but we still have a long way to go. It really means a lot that you’ve trusted a startup called Sparrow to take care of your travel needs.